Designed with your horses safety in mind this durable, attractive, UV stabilised polyurethane fence cap is designed to fit quickly and securely over star pickets / iron posts. Made in Australia to suit Australian conditions. View the tutorial on how to install the StockGuard Cap here. 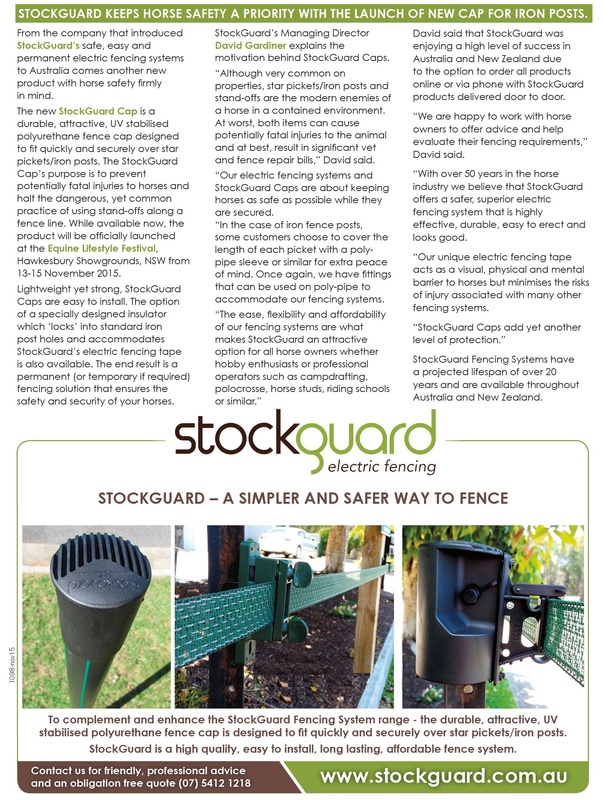 Read more about the features of a StockGuard Cap.